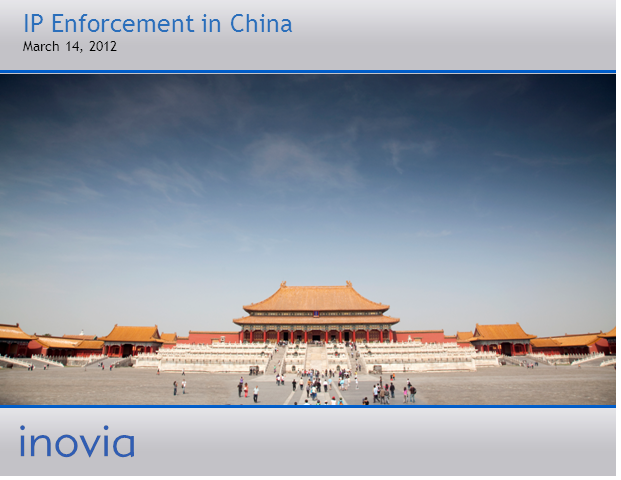 Managing IP, in association with inovia, invites you to join a free webinar, 'How to enforce IP in China', on March 14 at 10am PST/ 1PM EST/6PM GMT. This webinar brings together several highly qualified speakers to look at aspects of IP enforcement in China, including the Chinese patent process itself, the risks associated with entering the local market and finding the most cost-effective method of enforcement. First-hand experience from our speakers will demonstrate the importance of utility models and of filing early, among other things.